Have you always loved to play Pac-Man? 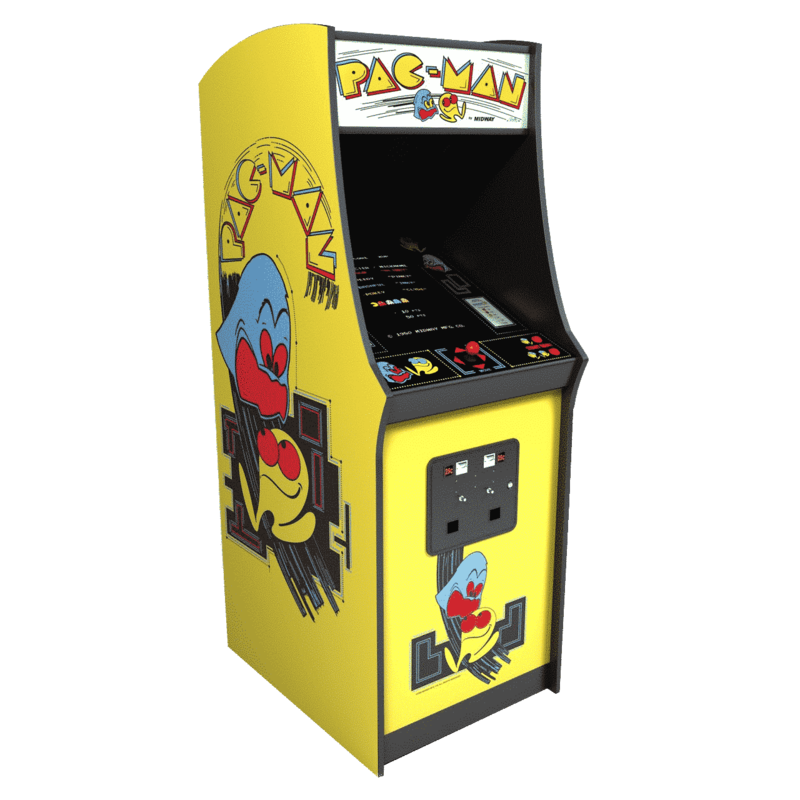 Then you are going to love some of the Pac-Man arcade games that we have on offer at Arcade Direct! It really doesn’t matter what age you are, everyone loves to play games and enjoy the thrill of beating their top score. Now, you can take a step back in time to the classics and take on the role of Pac-Man once more. So, whether you are looking to hire a retro arcade machine for your next big event or even if you want to purchase Pac-Man for your own home, you can do this at Arcade Direct. Check out our Pac-Man Arcade games today! Hire arcade machines from us for your special event. Pac-Man is a Japanese game that was released way back in 1980 and ever since then it is been popular with gamers all over the world. It is iconic of 1980s popular culture and anyone that loves to play games will know this fantastic and addictive arcade game. That is why it is classed as one of the greats from the golden age of video arcade games, even being one of the highest-grossing games ever. The good news is that now you can get your hands on the Original Pac-Man Arcade Machine! This is an original machine that has been refurbished so that you can enjoy it at its best again. This is the real thing and there is nowhere else where you can get your hands on one. What better way to bring back memories than with your own piece of history! You can navigate the yellow Pac-Man around the maze, trying your best to grab all of the dots that are found around different corners. Of course, it is not as easy as it sounds since there are coloured ghosts that are chasing you around. They are classed Pinky, Blinky, Inky, and Clyde and they try their hardest to make you lose your lives. To progress to the next level, you have got to clear all of the dots without being caught. With every level getting harder and harder, do you have what it takes to beat your top score? Well, you should hire or purchase the Original Pac-Man Arcade Machine now to find out. 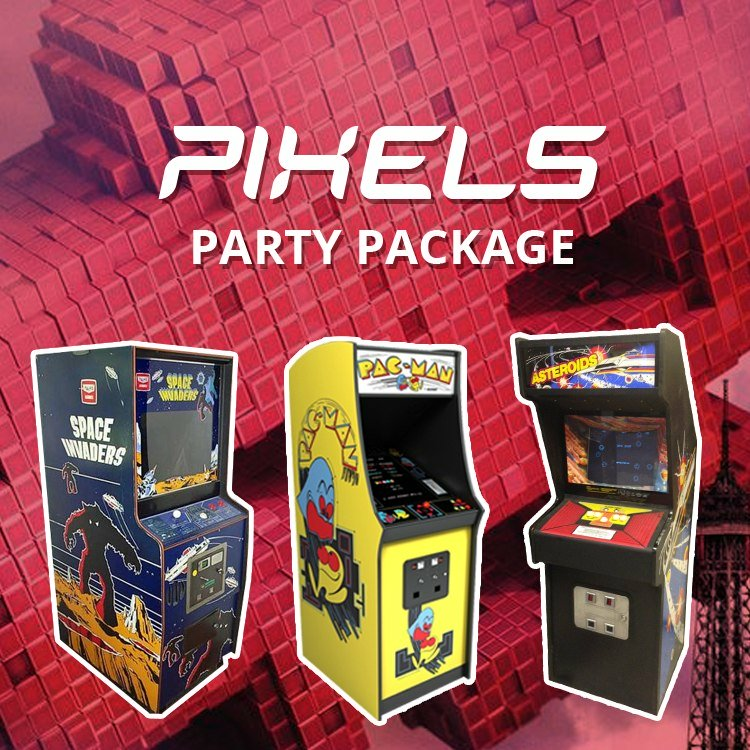 In addition, when you choose the Pixels Party Package, you can enjoy having three arcade machines at your event or party! Your guests are sure going to love having a choice of games to play. This package is extra special because it is for the popular Pixels movie from Sony Entertainment, which means that this film can take over the party and bring the fun. You can select three retro arcade machines that everyone knows and loves. This includes the Original Pac-Man, Space Invaders, Galaxian, Defender and Asteroids. This will bring everyone back to their childhood and even let the kids enjoy the classic games that are some of the best of all time. What’s more, we make it simple to have this machine at your party or event. We take care of all the delivery details for you, as well as installation at your venue. Leave all the hard work to us while you play! 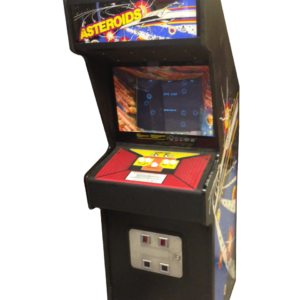 At Arcade Direct, we have a range of fantastic retro arcade games that you are going to love. This includes the original Pac-Man game, which has been a favourite for many years. Whether you are throwing a party or hosting an event, you can choose an arcade machine to bring the fun and games to the evening. In addition, you can purchase these machines for your home too so that you can enjoy them anytime!